115. "After the initial Program Development is completed, the initial Discount Rate should be set to the rate equal to the rate after deducting prior uncollectibles as described in the next paragraph, plus the Initial Program Development cost amortized over the following five (5) years. The active third party suppliers are also responsible for future Program Maintenance costs. After the initial five (5) year period, this should be done on a yearly basis. 116. "I think the five (5) amortization period is necessary because a much larger lump sum is involved than periodic bill inserts. Some of the smaller suppliers may not be able to afford their share of such a large lump sum when the Commission wants to encourage competition among all suppliers, large and small. A five (5) year period will also give the larger suppliers some 'breathing room' for implementation to occur. During implementation, Delmarva shall provide bills to the suppliers every billing cycle. 117. I do not agree with setting the Discount Rate at zero in the first year because it places the burden of uncollectibles upon Delmarva in the first year. I recommend that the Discount Rate in the first year be based upon the Participants' uncollectibles for the twelve (12) months prior three (3) months to the implementation month. This approach places the uncollectible burden in the first year upon the third party suppliers, as opposed to Delmarva's ratepayers. The second year will re-set and will be based upon the first year of POR experience." Receivables eligible for POR shall exclude, "service charges, exit fees, early termination fees, or charges for products other than commodity." The PSC's order states that, "the past practice of allowing third party supplier company neutral inserts in Delmarva's bills shall continue." Per the order, "The inserts can describe choice options available to customers, the Commission's website or the suppliers' website described in the next paragraph. The inserts can be sent quarterly with one annual mailing and the cost shall be borne by the participating suppliers." 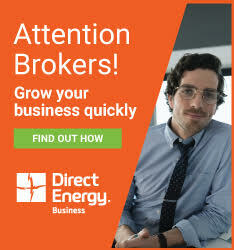 The order next provides that, "the Commission's [electric choice] supplier website shall continue since it provides a good resource to current and potential customers of [electric choice] suppliers and Delmarva. The participating suppliers are given the option without initial Commission intervention or participation to establish their own website." The PSC currently maintains a website of all active Electric Suppliers in Delaware linked to the suppliers' own websites. These suppliers are: a) certified with the Commission and registered with Delmarva Power; b) have at least ten (10) residential or small commercial customers in Delaware; and c) have provided a verification to the Commission that they are fully prepared to accept residential and small commercial customers in Delaware. In the proceeding, the Retail Energy Supply Association had proposed a "robust" shopping website with current prices which would be maintained by a third party at the expense of retail suppliers. RESA proposed that the Commission issue a Request for Proposals for the "third party" website. Bidders to develop and run the site would include fee structures in their proposals to ensure that the website is self-sustaining and does not require use of state funds. RESA supported a reasonable fee charged to retail suppliers who wish to post information on the third-party shopping website. The PSC's order adopted recommendations from a hearing examiner's report on this issue, with the HE report stating, "Third Party Suppliers are free to maintain their own website if they wish, although only one (1) such website should be maintained for Delaware customers to avoid confusion. There should not be one website for RESA members and one website for non-RESA members." The HE further, "recommend[ed] that participating suppliers be given the option without initial Commission intervention or participation to establish their own website." Adopting a stipulation from the parties, the PSC deferred the following issues until a final non-appealable Order occurs in Maryland Public Service Commission Public Conference Docket No. 44: a) Enroll with Your Wallet or alternatives such as secure internet look-up tools, which allow customers to enroll in public locations such as malls and public events; and b) Seamless Moves & Instant Connects, which allow third party electric supply customers to transfer service to a new location or to immediately obtain service when they apply without any waiting period, respectively.